As a founding member and Shareholder of Renaissance Financial, Julie has proven her skills as a financial advisor and leader of the firm. Being an integral part of team, she works closely with other advisors to provide her clients with the support of the entire firm. Her focus is providing creative ideas for investment strategies, insurance strategies, and tax savings for her clients. In addition, Julie helps provide companies benefit packages and qualified retirement plans. Whether you are looking at funding for children’s college, creating a business succession strategy, preparing for retirement or working towards a legacy, Julie can assist you and put financial strategies in place to help you reach your financial goals. 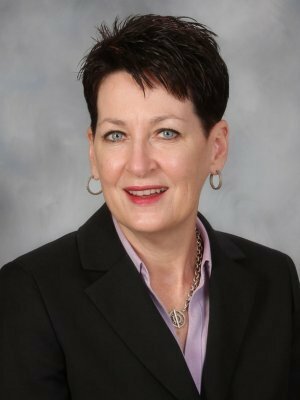 Julie’s financial knowledge is supported by her strong educational background and 26 years of experience. She earned a Bachelor of Science in business administration with a minor in mathematics and an MBA with an emphasis in finance from Lindenwood College. In 2004, Julie received the Chartered Financial Consultant (ChFC®) designation and then in 2011, she obtained the Chartered Life Underwriter (CLU®) designation, both from The American College. Julie has also been recognized as a Senate Club* advisor in 2003, 2006, 2012 – 2015, and 2017 with Securian Financial Services, Inc. and a Platinum advisor* in 2006, 2012 – 2016, and 2018 within Renaissance Financial. Julie proudly supports a variety of organizations that benefit children such as Big Brothers Big Sisters, St. Jude Research Hospital, and Unbound. She also gives back to the community through the Saint Louis University Liver Center, the Leukemia & Lymphoma Society, and Connections to Success. Registered Representative and Investment Advisor Representative, Securian Financial Services, Inc. Financial Advisors do not provide specific tax/legal advice. This information should not be considered as specific tax/legal advice. You should consult your tax/legal advisor regarding your own specific tax/legal situation.